Is Moto's rumoured 5.9-inch Shamu the great white hope for the Nexus range? ...Or has Nexus already jumped the shark? Has Moto been assigned the next Nexus phone? The new Nexus phone, the fabled Nexus 6, could be built by Motorola, according to rumours published this weekend. 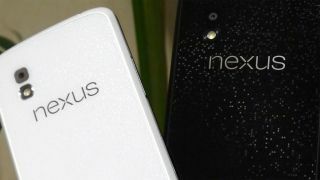 Android Police has received information from sources claiming a new 5.9-inch Nexus phone is on the way, which is currently codenamed Shamu. The site's sources says the device will also have a fingerprint sensor and will go on sale in November, shortly after the expected iPhone 6 launch. If the device comes to fruition, it is likely to be launched alongside the rumoured HTC Volantis, an 8.9-inch tablet also revealed by the site last month. First LG, a long time Google partner, said it wouldn't be working on any Nexus devices in future. Then there was an assumption the home-brewed range would be supplanted by the Android Silver initiative. Starting with Shamu and Volantis later this year perhaps?